Readers the world over know him as a consummate novelist, but Charles Dickens had a love for the theater from an early age. 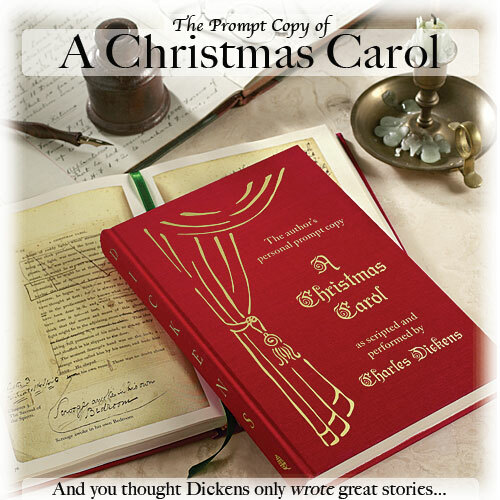 So it was not all that surprising, albeit somewhat unusual, that Dickens decided to perform readings of his works on stage—most notably, A Christmas Carol. As a performer, Dickens was a maestro. His audiences laughed, cried, cheered, sighed. As far as the audience knew when Dickens referred to his book on stage, it was just another copy of A Christmas Carol. But it wasn’t. Dickens had cobbled together a prompt copy. 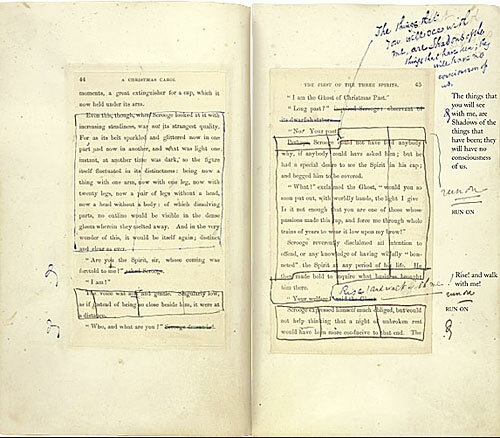 The prompt book is an annotated copy of a play that a stage manager normally uses during the performance. 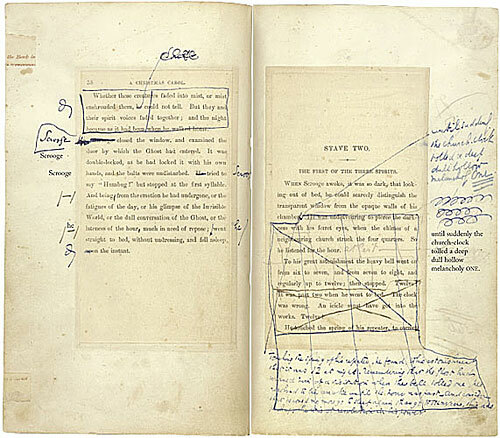 For A Christmas Carol, Dickens had the pages of a published edition of his book set into larger pages. 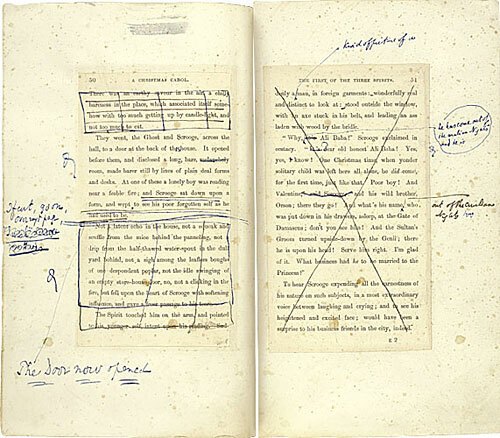 That way he could add his stage cues in the margins, make any rewrites, and either cross out the sections he wouldn’t read or glue together those pages. 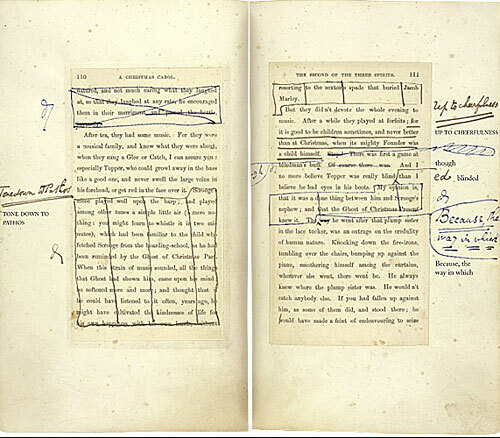 Dickens’s prompt copy became a sort of reverse palimpsest, with different passages disappearing at different times. What began as a three-hour performance would sometimes be as short as an hour and a half. He used this personal working copy for years, including his sell-out tour in the U.S. in 1867. Now you can see what Dickens’s audience never saw.